All the utensils you need in one package. 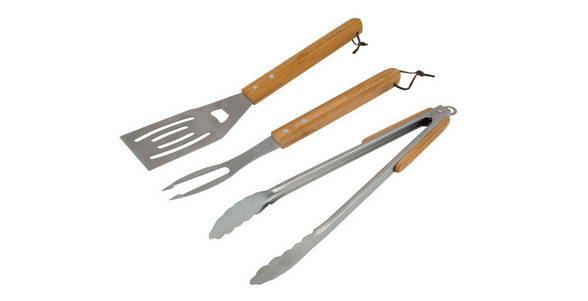 The kit includes a strong, durable stainless steel spatula, tongs and fork with attractive and comfortable bamboo handle. The set comes with a suede hanging loop at the end of each product for quick and easy access.